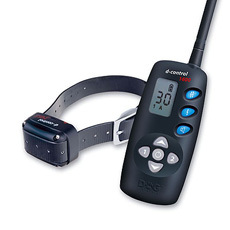 The DogTrace D-Control 1600m (1 Mile) is an electronic training collar designed for working dogs, professional use or pet dog owners who need a system with a large range. With 30 levels of correction it will suit any breed or any temperament of dog, mild enough for timid thin-skinned dogs and strong enough for the most stubborn large breed. Perfect for addressing any issues such as livestock chasing, recall issues or for use around areas of woodland and undergrowth. Supplied with a hard carry case for storage or travelling. The receiver box that sits on the dog's neck can be fitted to a nylon/webbing type collar with a plastic clip or on a wipe-clean buckle fastening collar, please select your preference from the drop-down box below. Do you walk your dog in the dark? This product is available with a remote activated light so you can locate your dog on those early morning and night walks. The features all remain the same as above but instead of the 'boost' button you have a button to activate the collar light. Select this option from the drop-down box below (Supplied on Nylon collars). FREE UK Postage - The Acme Gun Dog whistle is an easy blowing, High tone dog whistle, 210.5 pitch. Pealess to give a trill for those who want a distinctive and different sound. Now available in three colours; black, yellow or brown. CR2 3v Lithium Battery. 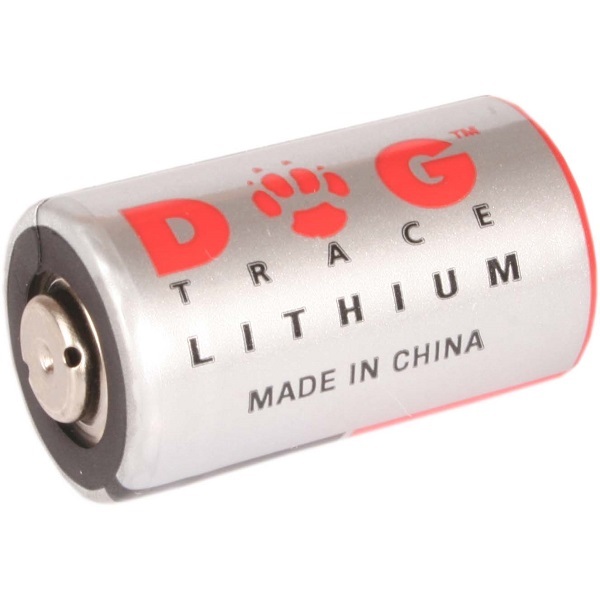 For use with Petsafe, Dog Trace and Canicom models. 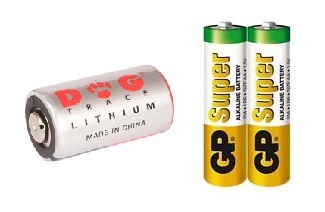 Set of batteries for the DogTrace Remote Trainers, 1x CR2 battery (collar) and 2x AA Batteries (Handset). Olive green and black in colour. Multi 8mm plaited Polyester rope with rubber fittings. Adjustable neck stop. Looped handle. Traditional style. The deluxe leads come with hand stitched leather trim. Mikki web leads are made of 100% cotton canvas webbing. Suitable for use in all training situations. Additional Dog Trace receiver collar. To expand the d-control 400, 600, 1000 or 1600 to a 2 dog system or to replace an existing collar.